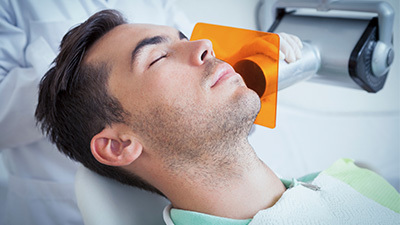 If you hate the noises, smells, and tastes associated with dental care and offices and you can’t block them out (even in an office with as many comfortable distractions as ours, such as candles and fresh baked Otis Spunkmeyer cookies), then you may want to experience “twilight sleep” while we do the work. Recent research has indicated that the number one reason adults postpone needed dental care was fear! That's right – not time or money, but fear! Unfortunately, dental decay and periodontal disease won’t make exceptions, so contact 21st Century Dental in Las Colinas to learn more. We work closely with an excellent anesthesiologist with 20+ years of professional experience. He makes sure that you have a pleasant experience! Why Choose 21st Century Dental for IV Sedation? …then yes, you are a candidate for IV sedation! With safe and proven techniques, patients receive sedative drugs which work rapidly to create a relaxed state that is maintained and monitored throughout treatment. 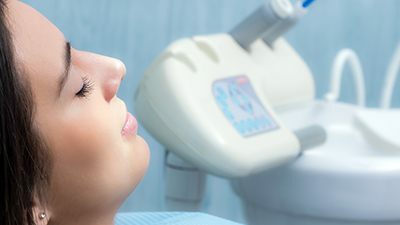 Beyond creating an optimal environment for you, the patient, dentistry with IV Sedation also allows us to complete multiple procedures in one appointment. An IV is started by the anesthesiologist allowing all medications for relaxation to enter your body. You will not remember or be aware of any procedures or especially “getting numb.” You breathe on your own. This is not like the hospital anesthesia where a machine breathes for you. You won't remember any sounds or smells. You can relax for up to five to six hours after the IV sedation (or the anti-anxiety pill, if you choose). The time you are relaxing will vary depending on your needed treatment and type of anesthesia delivered. Complex dental treatments that often require multiple appointments can often be done in as little as one or two, all while you relax! 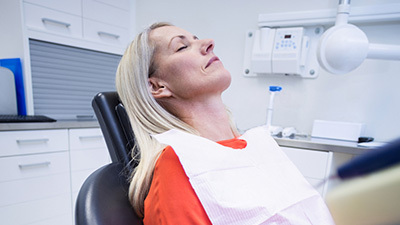 Sedation dentistry is a safe way to reduce the fatigue of extended dental treatments requiring long visits. Yes, one of our team members is always with you and your vital signs are constantly monitored during the entire visit. You are never alone. In our office, the dentist anesthesiologist is ACLS (Advanced Cardiac Life Support) certified, and all of our doctors and the assisting staff are basic life support certified. Dr. Roy also has past IV sedation experience and ACLS certification, so you won’t have to worry about who is around you while you are relaxing.